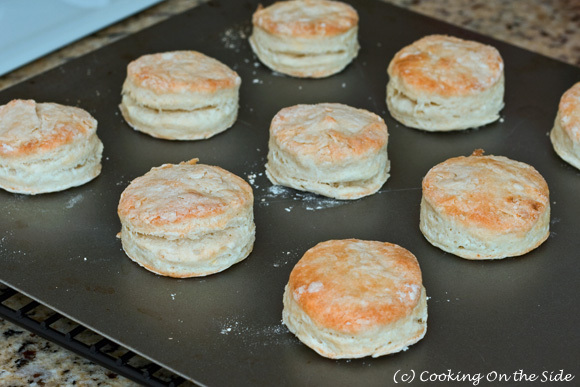 A number of you expressed an interest in seeing a “biscuit bakeoff” after last week’s Southern-Style Biscuits recipe from the back of the White Lily self-rising flour package. Does White Lily flour really make a better biscuit, as so many southern bakers claim? 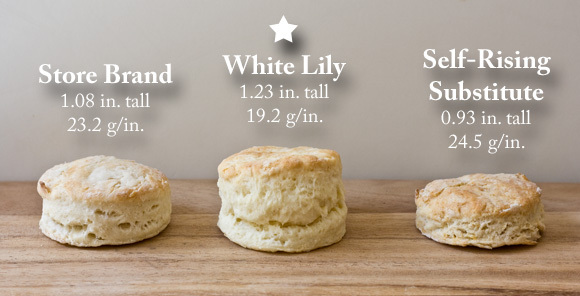 How do biscuits made with White Lily measure up to those made with other flours? Well, I was pretty intrigued too so I set out this weekend to find some answers. 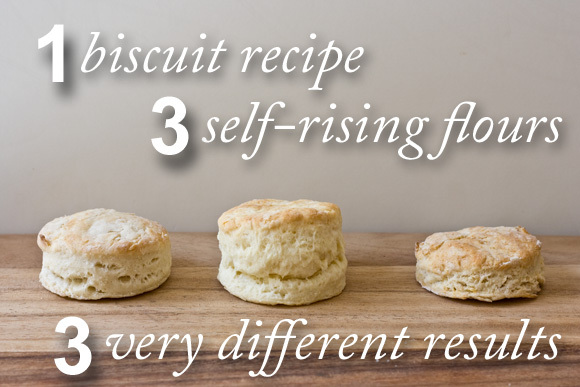 Biscuit quality is impacted by the type of self-rising flour you use. While I did my best to make this test as fair as possible (I’m no statistician but I do like to dig into data), it’s hardly scientific. Still, once you see the results I think you’ll be pretty amazed! 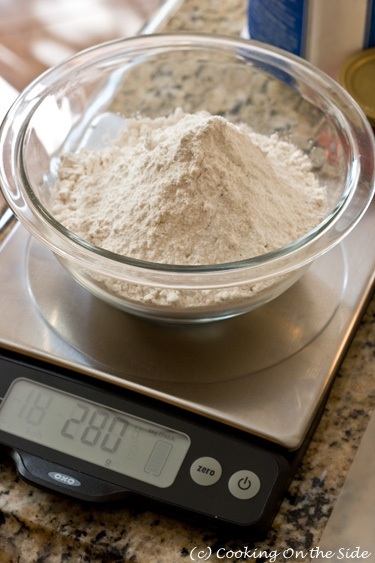 Since there can be a lot of variation when it comes to measuring (especially since White Lily is a lighter flour than the others), I decided to weigh the flour to ensure I used exactly the same amount in each batch. One cup of self-rising flour is equivalent to 140 grams, so I used 280 grams (2 cups) in each batch. 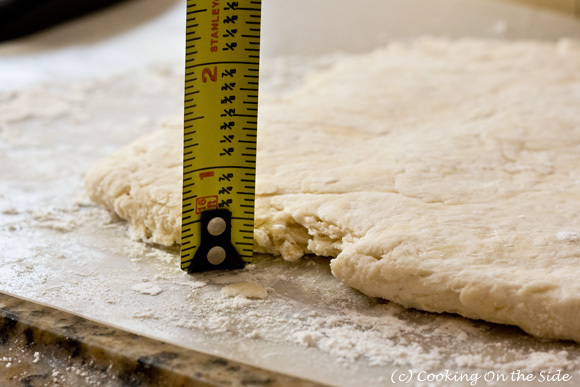 I did my best to roll out each batch of dough to the same 1/2″ thickness. Nonetheless, I yielded a different quantity of biscuits each time (9 for the store brand, 11 for the self-rising substitute and 13 for White Lily). Each of the doughs felt differently when I rolled them out too. The store-brand felt like typical biscuit dough I was used to, but the White Lily was notably softer and more pliable. My biscuit cutter easily slipped through the White Lily dough, barely needing any flour to keep it from sticking. The self-rising substitute dough was extremely dry and very difficult to form into a dough. The buttermilk seemed to absorb immediately. …and weighed and measured each one. As you can see from the scale, this was a rather messy operation! Are you ready for the results?? Holy cow, those southern cooks know what they’re talking about! 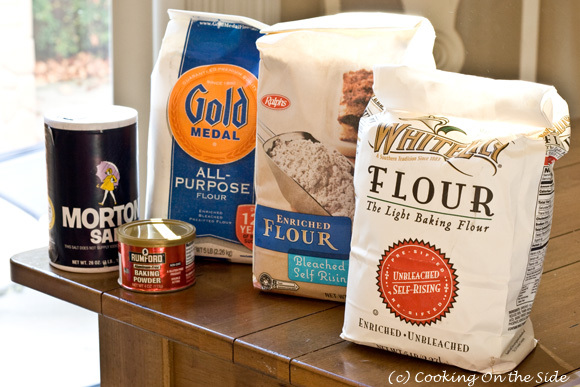 The White Lily self-rising flour far outperformed the store brand self-rising flour and the self-rising substitute. I knew even as I was rolling out that soft, pliable dough that the White Lily biscuits were definitely going to be different from the others. They started rising in the oven almost immediately and just kept going…13% higher on average than the store brand and 32% higher than the self-rising substitute. The White Lily biscuits also had the lowest grams per inch, which is how I chose to define “lightness” or density. 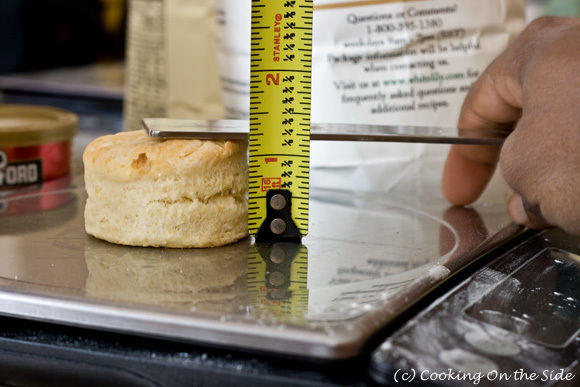 All of the biscuits in this test weighed roughly the same – about 24 grams – but when the weight is distributed over a larger area, as in the case of White Lily, it feels lighter. Conversely, the self-rising substitute yielded an absolute hockey puck. They were as dry and dense as could be and absolutely horrible. I threw those out almost immediately! So I’m going to be stocking a pack of that White Lily in my pantry from now on, right?! Wow, I never would have imagined what a difference a brand of flour could make. There is some actual science behind why White Lily flour is lighter than others and, thus, better suited for items like biscuits and cakes. If only they sold the stuff in stores outside of the South and parts of the Midwest. Until they do, I’ll stick with ponying up to order it online. I’ll keep my store brand self-rising flour as a good backup. I was actually decently happy with how those biscuits came out. If I hadn’t seen the White Lily ones I would have been perfectly content with the store brand. I probably will not, however, attempt to use a combination of all-purpose flour, baking powder and salt in place of self-rising flour. At least in this instance, it did not work very well at all. Stir baking soda into buttermilk and set aside. 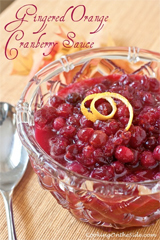 Sift flour into medium bowl; cut in shortening until mixture resembles coarse meal. Stir in buttermilk mixture until just combined. Knead dough 3-4 times; roll to 1/2-inch thickness on lightly floured board. Cut into 2-inch rounds; place on ungreased baking sheet. Bake 12 to 14 minutes. 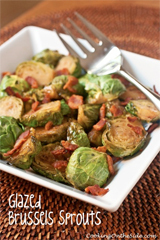 *If you do use White Lily, either weigh 280 grams of flour OR add an extra 4 tablespoons of flour. I order White Lily on soap.com very reasonable. That’s great to know, Jenny — thanks for that tip! Why no mention of Martha White self rising flour? Not very much of a “test” when you only used three brands out of the 1000 brands out there. How about Martha White flour with “Hot Rize Plus”? I can tell that i make biscuits with gold medal flour and think hands down the best flour is gold medal. I have tried the others and though they are good…. gold medal is best. I just made biscuits with whipping cream and Gold Medal self-rising flour, and no other ingredients. Turned out Awesome. For the ‘experiment’, this blogger used All Purpose Gold Medal flour augmented with baking powder and salt. To be more meaningful, recipes from each flour company should have been used. That means forcing the family to eat 9 batches of biscuits, or some could be frozen. You could also bake up just a portion from each batch, and knead in some sugar to the remainder to make Shortcake for the Masses. Seems to me a true Southern cook would not be afraid to splash a bit more milk into the mixing bowl if they found the dough to be dry. Over time, the ‘feel’ becomes more obvious. Some of us have a ‘price point’ to balance with which brands we trust. I used bread flour instead of self rising flour or all purpose flour for biscuits, and just want to know if the cooking time and temperature is any different when using “Gold Medal bread flour”. Hi Margo — if you use bread flour in place of self rising flour you’ll need to also add baking powder and salt. I personally wouldn’t use bread flour for biscuits as it has more protein and won’t produce as light a biscuit as all purpose or pastry flour. As for cooking times and temperature, I couldn’t say since everyone’s oven is different. You just have to keep and eye on them and take them out when they’re done. You can’t really do a test of southern flours with only white lily. I agree — it wasn’t meant to be a test of southern flours. Why are there so many critical comments? I enjoyed this post, the photographs, and your excellent description of your kitchen experiment. A lot of work went into this, from shopping at the market to cleaning the dishes, and then uploading pictures and writing this delightful post. Thank you for sharing it! I made buttermilk biscuits using the recipe on the White Lily bag. 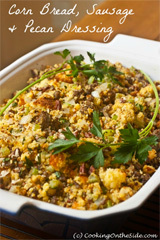 I substituted their Crisco product suggestion with my blend of equal parts grated frozen butter / frozen lard. Seems a good recipe to me! Real whole buttermilk is impossible to find here. I was stuck using some silly Walmart lowfat buttermilk. That’s okay, though…I made up for that with the bacon drippins I put in my sausage gravy. Did you have a promo code for the jet.com? I have never used them before. You didn’t say if you used fresh baking powder. Baking powder as old as 3 months will give you a different result from fresh baking powder. Tips: Keep everything ice cold. Gentle handling is a must. From mixing, to patting out (never roll), a gentle touch gives the best results. Dont mix the shortening in too well, small globs are desirable for height and lightness. Keep your biscuit cutter floured, friction seals the sides of the biscuit, hindering a full rise. Just wanted to say that you can get White Lily Flower in Mich at Kroger stores which is one of the major stores . Have not checked in Meijer store yet another major retail here. Standard Brands do not compare to White Lily as you will see. also use only grass fed pork fat, getting harder to find but well worth the effort to locate, local hog raisers in the counrty are your best bet. I’ve lived in the South all my life and the only flour my mother, grandmother and great granny ever used, and pretty much every other woman I knew, was White Lily. To make you biscuits even better than they already are, substitute butter for shortening. 6 tablespoons for 2 cups flour. Make sure it is cold, then cut into flour with pastry cutter or fork until crumbly. The dough will not feel as smooth as with shortening but that’s okay. As the biscuits bake, the butter melts and the water content in the butter turns into little pockets of steam that lift the biscuit a little more. And you get the added flavor of butter. I have been an aweful biscuit maker for years. I’ve tried a bunch of recipes and flours. I finally found a recipe that works for me a few years ago and have been trying different flours based mainly on whats on sale or just store brands which make okay biscuits…or so I thought. I recently bought White Lilly for the first time and wow! I have used Martha and Southern and they work fine, but White Lilly is better in my opinion. If you’re a hand mixer like me you will notice the difference. You get club hand but it incorporates into the dough ball easier. The dough is lighter and easy to work with, with minimum sticking if any. The rise, fluff and taste is better too. So I agree White Lilly is best for biscuits!!! It makes good navaho and flat breads too…yum!